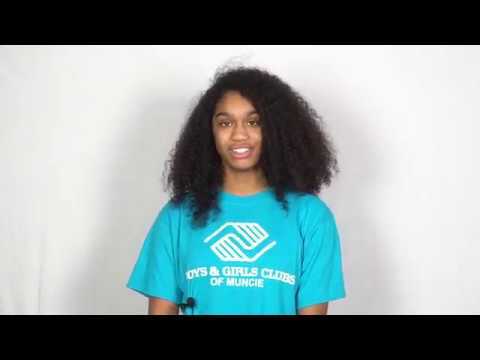 Boys & Girls Clubs of Muncie - Indiana | Created by Muncie Boys and Girls Club, Inc. In January 2018, the Roy C. Buley Center and the Boys & Girls Clubs of Muncie (BGCM) merged the two organizations. This allowed the Clubs to provide additional programming to youth in Muncie / Delaware County. Now we see three times the number of students compared to 2017. With this influx of students, the Boys & Girls Clubs of Muncie is in desperate need to remodel a former storage room into a workable space called our Minds in Motion room. The Minds in Motion room would host after school Power Hour and small group tutoring classes in the afternoon and our Creative Movement classes in the evening. The remodel would start in May and be completed before school starts in August. We need a flexible, multipurpose and open space for our members to be able to work together in teams as needed during Power Hour and also for our Creative Movement classes in the evening. Three main changes we’d like to make to this former storage space include technology, movement and flooring. Technology. Technology is essential for our after school Power Hour classes. Power Hour helps our youth achieve academic success by providing homework help, tutoring and high-yield learning activities that encourage them to become self-directed learners. These activities include working on laptops to complete school assignments, learn the fundamentals of spelling, mathematics, writing papers and building presentations. The room also needs updated Wi-Fi connections to access educational resources on either on a smart board or TV screen. Movement. Children learn better when they move. The more they move while they are learning, the easier it is for them to understand difficult concepts, pay attention, and be successful in school. Many youth come to us with diagnosed and undiagnosed learning challenges that prohibit them from learning at the same pace as their peers. By introducing wobble chairs or flexible seating, our youth can focus more on learning rather than trying to simply sit still. We would also like to introduce mirrors into the space. The mirrors would have the dual purpose of allowing youth to see their movements in the Creative Motions class and also allowing for more reflective lighting. Our Dance Team, which has performed at the Muncie Central Homecoming parade and the Ball State Homecoming parade, has over 50 members and practices at least 2 times per week. The goal of our dance program is to introduce them into all types of creative motion. Access to mirrors in this space will allow them to better practice for their performances. The mirrors would mimic what students would see in a traditional dance studio. Flooring. When entering a room, flooring is one of the first things a person sees partly because they look where they walk. The flooring that is in the space currently is drab, worn and over 10 years old and in desperate need of replacement. We would like to replace the flooring with tile or snap together flooring that can be used for our Creative Movement classes. We ask that you carefully consider our remodel of our Minds in Motion room into functioning, educational learning and creativity space. Posted by Muncie Boys and Girls Club, Inc.
Muncie Boys and Girls Club, Inc.